What we love: Long sandy beach especially at low tide, the best wind on the south/east coast that you can rely on, and even a second beach (Greatstone beach) right next door if the wind is offshore, all only 90 mins from London! Recommended School: The Kitesurf Centre operate here year round and you can do a lesson pretty much any day of the week. With top notch equipment also available to hire, local instructors who know the best spots, and course prices ranging from £49 for 2 hours or 5x6 hour days on their 'Zero to Hero' course for £449 there is something for everyone. What we love: At low tide this spot is unbeatable, with safe, shallow water and a mixture of waves and flat water, you cannot ask for better! Only an hour’s drive from London and has a restaurant directly on the beach for a well earned snack/cold beer after your lesson. Recommended School: CBK Hayling is the only school allowed to operate on the best part of this island’s coastline so booking a lesson with them will get you access to this private top spot! 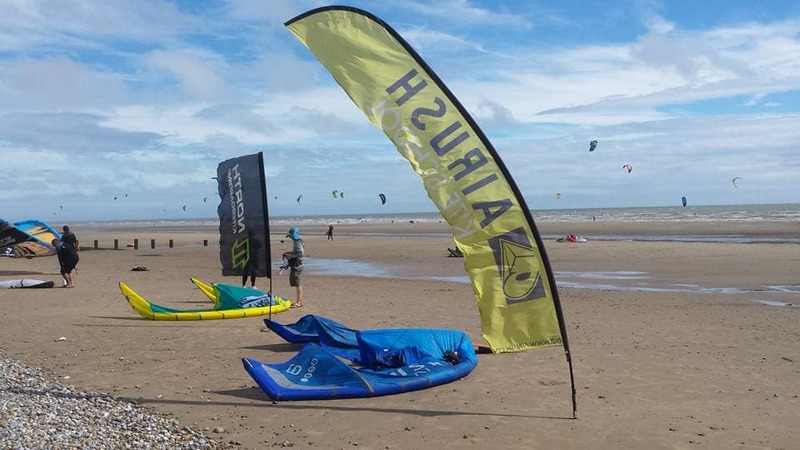 As the UK's longest running Kite Surf School you are in good hands with all instructors fully qualified under the IKO, BKSA and CBK instructor schemes. You can get off to a great start with a 1 day course for £100 in a group of 4, or have a 1-2-1 tuition for £45 per hour. They will even video the session for you and pinpoint areas to improve on. If you are feeling a little more confident they offer Supervised Hire at £30 per hour, which allows you to play around on all the latest kit with the safe knowledge that someone is looking out for you. What we love: Two great spots in one both inside the harbour, and on the beach, plus nice shallow water makes it super easy to learn. Loads of places to eat and drink nearby, along with a cool chill area and club on the beach, just 2 hours from London. Recommended School: Poseidon Kite School offer a whole range of lessons and other cool stuff. Their 2 hour taster is a steal at £50 with 1-2-1 private lessons at £45 per hour or £50 for professional level coaching, or a day course £105. You can even get the little ones started with GROM CLUB for kids aged 12-16 looking to get into Kiting and SUP. 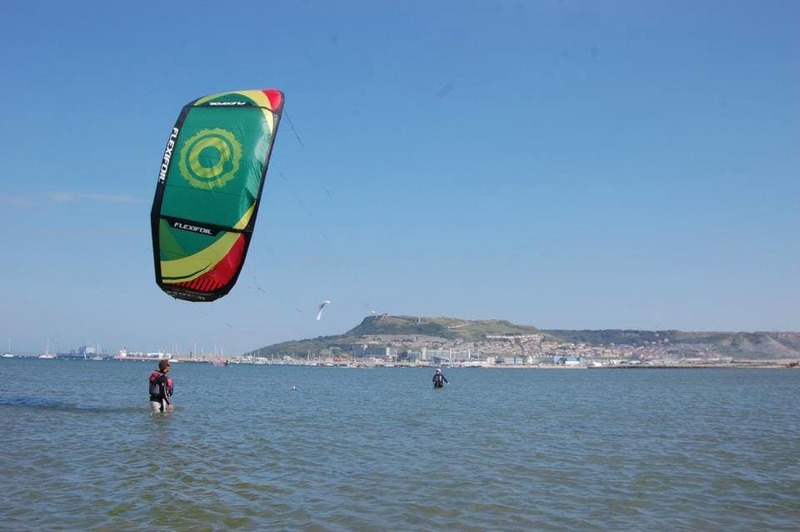 What we love: Weymouth has a few good spots which makes it great when starting out because of all the choice and the shallow, flat water and prevailing south west winds. Recommended School: Paracademy Sports Centre has trained some of the worlds top kite surfers and instructors and the school's founder Neil Godbold has since gone on to set up the Kite-board Tour Asia cup so these guys know there stuff. 1 day taster courses cost around £89 and 1-2-1 lessons come in at £70 for 2 hours. Want to get started? eola can organise it for you! To book your lesson just visit eola and search by location. Did you know that the UK is one of the best places in the world to learn how to kitesurf? OK, so maybe we don’t have the white sands and clear waters of places like Mauritius or the Caribbean, but what we lack in tropical conditions we sure make up for with perfect wind conditions, beautiful beaches, and great teaching facilities! 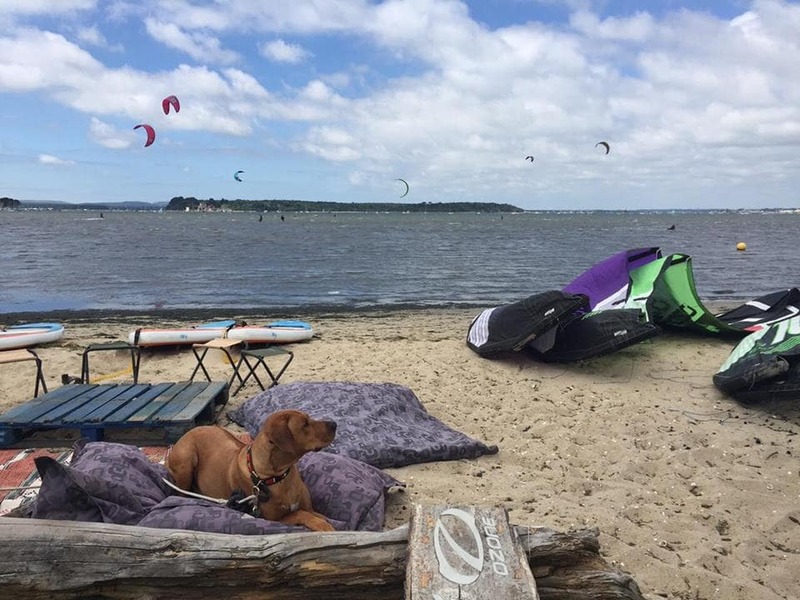 Here are our top 4 favourite locations to take up your first Kitesurf lessons in the UK on the south coast….